When I was pregnant with my first-born, each time I went to the doctor’s office, I was handed pamphlets of all the ‘new mom’ support groups in the area. (I probably looked like I needed it to!). There were support groups for full-time working moms, breastfeeding moms, running moms (seriously? ), along with groups for dads as well. But it didn’t stop there. You could find lactation consultants, breast milk banks and even groups to show you how to handle sibling rivalry with a newborn – just to name a few. They covered everything! Then you had the well-meaning friends who gave you every bit of warranted (and some unwarranted) parenting advice as they could manage. From how they sleep trained their child at 6 months, to how they handled the terrible twos. Your children became teenagers. Where are all the support groups now? Where are all the moms willing to share their experiences? We are still in uncharted territory and YES we still need support groups and we need other mothers to share their experiences! Also, epic parenting fails are greatly appreciated!! We worry incessantly about our developing teens specially in the face of growing online media presence. Who do we turn to when we need answers to questions like ‘Should I let my teen watch ’13 reasons why ? or ‘ My child is pulling a D in Algebra and doesn’t care!’ or ‘My child is excluded from social groups. How can I help him?’ Don’t we mothers of teenagers need support groups?! Why don’t we talk more openly about the parenting struggles of raising teenagers? Is there an inherent fear of judgement? Do we think that if we share our struggles, other mothers will think we are doing a less than stellar job of raising our kids? Raising teens is an uphill battle. An article I recently read on NPR, concluded that moms of teenagers can actually benefit from social support. When mothers confide in friends, they feel calmer and in turn help the parent-teen relationship. Don’t you feel better after talking to a friend about your teenager? Maybe they won’t have an answer for you. In fact they may just say they’ve been through it to and its best to run yourself a hot bath, till the problem self dissipates! But it helps to know you are not in this alone, or just the reassurance that this phase too shall pass! I asked the writer and a mom of teens, Katie Bingham Smith, (who often writes on Scary Mommy) about her thoughts on this. “As a mom of teens who doesn’t have a lot of friends with teens I often feel judged and criticized. They are moody, want to be with their friends and going through so much. Their ‘bad’ behavior is much different from a screaming toddler. People who do not have teens literally don’t understand what it’s like and they won’t until they go through it. It’s so important to be heard and feel like you aren’t alone”. We as mothers, owe it to ourselves and others, to talk about the struggles and emotionally draining parenting decisions we have to take as we raise our kids. We need to be honest with the struggles without the fear of judgement. We are in this together! 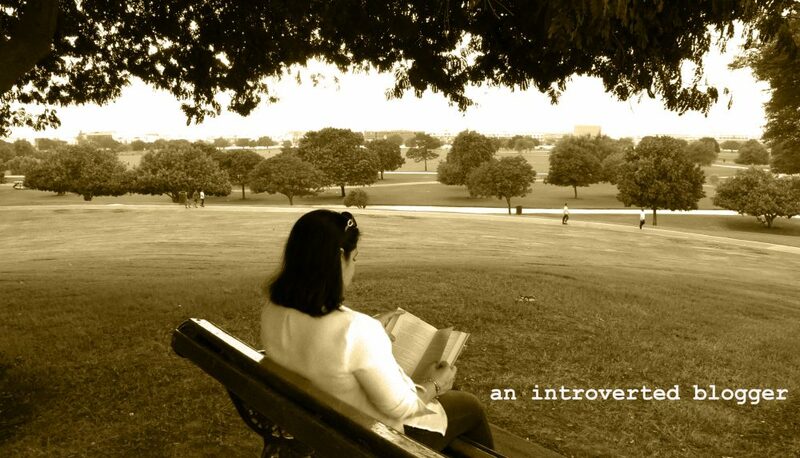 This entry was posted in Reflections and tagged let's talk, mother teen relationship, parenting, raising teens, Reflections, support groups, teenagers by An Introverted blogger. Bookmark the permalink. Yet another beautifully written and most articulate piece of writing. You have voiced and worded, of course way more eloquently, a very relevant dilemma of our times. Teenagers were always teenagers…weren’t we all, once upon a time?! But we weren’t surrounded by as much craziness as these kids are. Hence the conflicts they deal with are ten times more intricate than those of our times. Surely this understanding alone is not enough. We are all part of a new sort of world with a fast growing host of problems that seem to mulitply almost secretly. Together we may not be able to find answers to every possible scenario of modern parenthood, but we can surely lend each other an understanding ear, as we embark on the strenuous journey of raising our teens. Love it nadia and agree 100%- support group is very important. My sister in law always told me , as they grown, the problems become bigger! She’s right. Thank you for writing this! I have often wondered this as well. I think you hit the nail on the head about being afraid of being judged. My teenager’s behavior is often atrocious! I don’t really have anyone I can talk to about it. The friend I do talk to about it isn’t a parent and doesn’t really get it. I think at this age, if teens are acting out, people automatically assume its the parent’s fault. I’m the single parent of a very spirited teenage boy and I feel completely alone. I agree. I hesitate as well, because I feel it reflects on me as a mother. I also feel that others are quick to judge – which is another battle! This is why it is so important to share our struggles! I too chat with some moms who are ahead of me in the teen years, and it’s definitely a struggle but hopefully it passes! I just wish mothers would share more, so we don’t feel alone. I also don’t share as much as I would like to because, frankly the teens would kill me. It’s such a lonely place to be. Absolutely! That’s another struggle. Teens don’t want you to share! Fair Enough. But help a mama out here!